Sweet Shuga D sent Mom an email at work this morning reminding her that today was special because it was Miss ProBo's 22nd birthday. Mom was a sweet 16 when her dad sat her down, handed her a birthday card and played the old cowboy song "Happy Trails" as she read the words he wrote: "I hope you and Pro are a winner each and every time." That day Mom received the greatest gift a horse-crazy girl could receive . 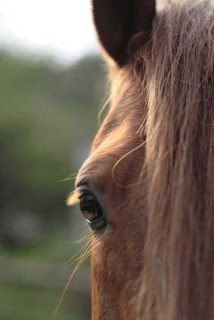 . . a flashy red 5-year-old quarter horse that is to this day, stunningly beautiful. Pro and Mom have been through good times and bad. But there has been one thing that has remained through it all: the love between a girl and her horse. See a video from one of our old postings right here. Happy Trails (and Birthday) to you, Miss ProBo!